Juvéderm® is a smooth consistency gel made of hyaluronic acid—a naturally occurring substance in your skin that helps to add volume and hydration. Dr. Moody will ease Juvéderm® injectable gel under the skin to instantly restore your skin’s volume and smooth away facial wrinkles and folds, like your “smile lines” or “parentheses” (nasolabial folds—the creases that run from the bottom of your nose to the corners of your mouth). 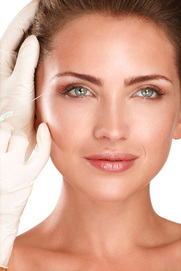 Juvéderm® injectable gel dermal filler is a nonsurgical, physician-administered treatment. Juvéderm® is a “next-generation” filler. It is made from hyaluronic acid— a naturally occurring substance in your skin that helps to hydrate and add volume. Hyaluronic acid may diminish with age, contributing to the formation of wrinkles and folds. Juvéderm® injectable gel works to correct this by restoring hyaluronic acid in your skin, helping to smooth wrinkles and folds. A safe, FDA-approved dermal filler that restores a natural, youthful look and lasts longer than many other fillers. 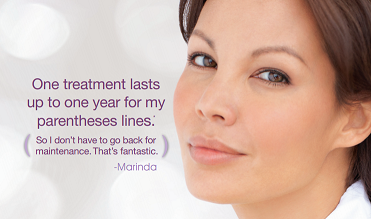 Radiesse® can be used to correct unwanted facial lines. Radiesse® is made of calcium-based microspheres suspended in a natural gel substance.